NMRCL Station Controller and Train Operator Result - Noida Metro Rail corporation has declared SC/TO exam 2017 result, marks, merit list, check here now. NMRCL has declared the result of Station controller /Train Operator 2017 Examination. 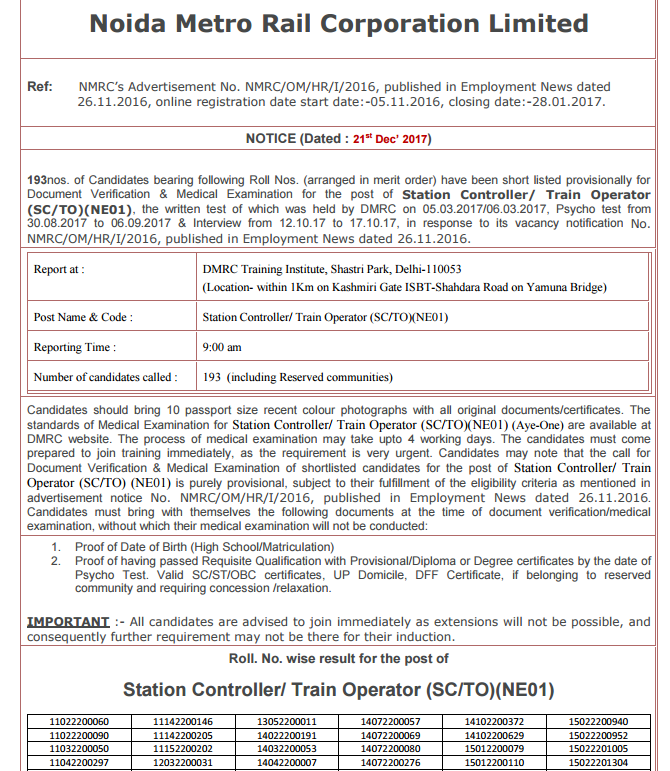 Check Here the list of selected candidates in Noida Metro Rail Corporation Limited(NMRCL) examination 2017 for the post of Station Controller/ Train Operator in Official PDF. You can download it from the NMRCL Official website link provided below. we Congratulation to all successful candidates, who has cleared SC/ST examination.